ABC Start Right is an early intervention and prevention initiative that seeks to secure better outcomes for children aged from birth to six years of age. The programme works in partnership with local services and agencies to ensure children and families are supported in a way that is appropriate and meaningful. Research indicates that small changes for many children have a greater effect on the whole population than major changes in small populations. Enabled ABC Start Right to undertake a ‘Population Approach’ campaign encompassing the development of prevention and intervention activities that can be rolled out across Limerick city. Essentially, the campaign aims to increase the prevalence of positive parenting city-wide, based on the premise that confident and competent parents arethe single most important factor in achieving better outcomes for children. The Population Approach campaign has four main components including the display of signage on city-suburban buses and billboards, a dedicated website, signage in community settings, and support workshops. Messages that promote positive parenting are released in 8-week cycles – each cycle has a specific theme, and then all accompanying signage, workshops and media promote that theme. 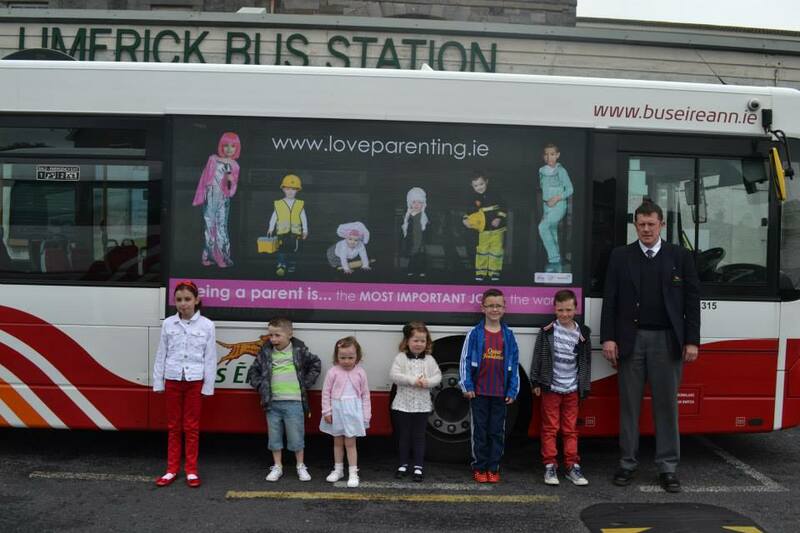 The first buses carrying the message ‘Being a Parent is the Most Important Job in the World’ left the depot on May 11th 2015 and are now a regular sight across the city and suburban routes. The buses also advertise the dedicated website www.loveparenting.ie, a one-stop shop for support around positive parenting. To date the website has had over 12,000 hits. The Population Approach is also facilitating important research and included issues relating to parenting and mental health, e.g. ‘Nurturing your Child’s Mental Health Begins with Your Own’ means that ABC Start Right can flag parental mental health on both the local and national policy agenda, based on service-user engagement and feedback.